Over the course of its four season run, Amazon’s MOZART IN THE JUNGLE has had several peaks and valleys. 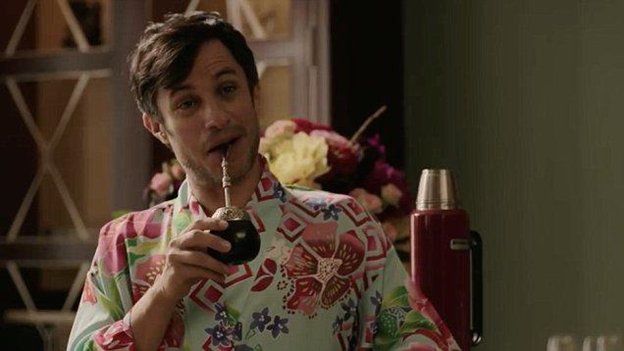 The show started off with a bang, taking home two Golden Globes in its first season and leaving critics raving about Gael Garcia Bernal’s electric portrayal of Maestro Rodrigo De Souza. However, the second season left out the trademark humor that had made it great in the first place, and chose instead to go full PHANTOM MENACE and focus on labor disputes and negotiations. This continued into the first half of season three, which saw half the cast go to Venice so Rodrigo could join forces with a veteran soprano for, no joke, a concert on a boat (featuring Placido Domingo!). It was only after that that the show gradually improved again, focusing on the relationships between the main characters and even more on the music they made together. This theme continues into MOZART IN THE JUNGLE’s fourth season, released last Friday on Amazon. We find our heroes back in New York, with Rodrigo and oboist Hailey Rutledge (Lola Kirke) having recently begun a romantic relationship. Their beloved New York Symphony has also started a youth symphony, even despite a lack of funding following the costly strike of seasons two and three. 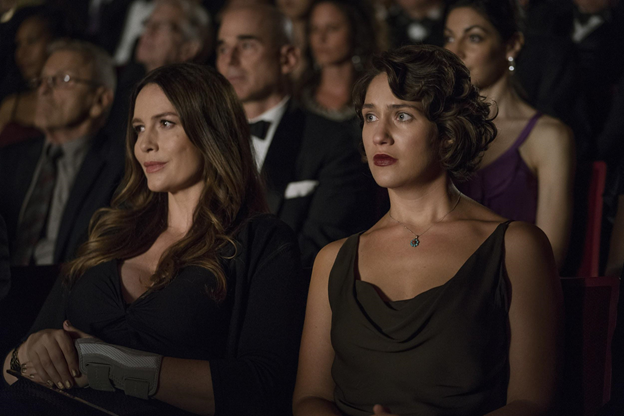 The show spends a good portion of the season focusing on Hailey’s career as a musician, now at a crossroads after failing once again to get into the symphony. She begins taking conducting lessons from Rodrigo, and her new hobby takes her to Tokyo for a prestigious competition that she falls just short of winning. Rodrigo and Hailey’s relationship also takes center stage in this fourth season, though Rodrigo is so vocal about his affections for Hailey that she can’t focus on her own career. The season peaks with a magnificent eighth episode that takes place entirely in a Japanese tea ceremony, during which both Rodrigo and Hailey have separate visions of their futures together, and Hailey concludes that they must separate. This separation occurs after years of will-they-won’t-they drama, not to mention the occasional hook-up, that finally concludes with the end of their passionate relationship, which has been building since the first season. While their professional support for each other continues through the final episode, where Rodrigo passes the New York Symphony baton to Hailey before being fired, it is Hailey who finally determines that they are incompatible with each other and must separate in order to succeed. It’s this kind of LA LA LAND-esque ending that provides a much-needed boost to the show after two mediocre seasons, and should it not get renewed for season five, a fitting conclusion. This season also takes extended road trips to North Carolina (Hailey’s hometown), keeping in mind the aforementioned Tokyo, which marks the third consecutive season that the show has left New York. I haven’t been a fan of this in the past—previous trips to Mexico and Venice have served little purpose in either plot or character development—but in this season it seems to work. The viewers get more exposition to Hailey’s background and why she’s such a perfectionist in North Carolina; by the time they get to Tokyo, they’ve come full circle, and the viewers get a glimpse as to Hailey’s future career and life without Rodrigo. For fans of classical music, season four of MOZART IN THE JUNGLE doesn’t disappoint, featuring works by Mahler and Mozart as well as original, contemporary compositions. However, this show is not meant exclusively for classical music buffs. It’s something that everyone can enjoy, with characters that anyone can relate to: the woman in a male-dominated profession just trying to get respect from her peers, the career musician who has her life’s work derailed by an injury, and even the jealous boyfriend trying to keep pace with his more successful significant other. That being said, if you tried to watch the fourth season of MOZART IN THE JUNGLE without watching the prior three, not only would you find yourself extremely confused, but you’d be missing out on a lot of vital character backstory. Overall, if you’re a fan of the show, you should enjoy this most recent season. Even if you were a fan of the recent mediocre installments, or you enjoy the show taking time away from its central setting to visit fresh locales, this fourth season returns to the roots that were planted in the first season when the show was at its peak. If you’re not a fan, but you find any aspect of it even remotely interesting, watch the first season before deciding if you want to commit to any more. I guarantee it’s worth sitting through two seasons of labor strife in order to get to this ending. 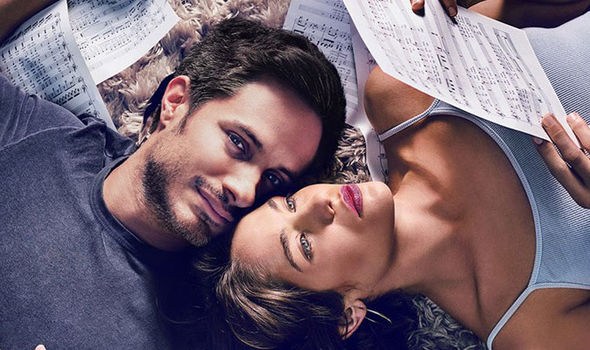 All four seasons of Mozart In The Jungle are available to stream on Amazon Video. Derek Daniels is a senior Television Writing and Production Major at Chapman University. In his rapidly diminishing free time, he enjoys watching TV, cheering on the San Francisco 49ers, and syncing up Pink Floyd's THE DARK SIDE OF THE MOON with THE BOSS BABY.